Construction of the DuPont powder mill on the Brandywine River was personally supervised by Eleuthère Irénée du Pont, starting in 1802. Founded in 1802 by Eleuthère Irénée du Pont to manufacture gunpowder, the DuPont Company rose to become the largest gunpowder and explosives producer in the nineteenth-century United States. During the twentieth century, the Delaware Valley company diversified into many other ventures including materials science, chemistry, biological sciences, and engineering. This expansion led DuPont to become one of the leading scientific engineering firms in the world. This depiction of a gunpowder and saltpeter storage facility exploding on Water Street in Philadelphia, by artist Charles G. Rosenberg, shows the peril of manufacturing and working near explosive materials. This blast was caused by a fire ignited by the friction of a hoisting machine’s rope. Powder mills were also dangerous. At DuPont's Brandywine powder mill, a packing room exploded on February 26, 1863, destroying 10,000 pounds of powder and killing thirteen men. Two more explosions occurred that year, killing forty more. The Mid-Atlantic gunpowder industry flourished in the nineteenth century along the Brandywine River in Delaware and spread into Pennsylvania, New Jersey, and other states. Long synonymous with the name duPont, the industry began in 1802 when Eleuthère Irénée duPont (1771–1834), a French refugee and former student of famous chemist Antoine Lavoisier (1743–94), began manufacturing gunpowder along the banks of the Brandywine. Using charcoal made from local willow trees, sulfur, saltpeter shipped in on the Delaware River, and water power controlled by French water wheels and turbines, duPont’s mill increased production rapidly, making and selling 39,000 pounds of gun powder in 1804 and triple that amount the next year. During the War of 1812, sales jumped when the United States government bought powder from DuPont. With the proceeds, the company acquired additional land for industrial use at a site on the Brandywine known as Hagley, a name of English origins bestowed by a former owner. With the expansion into the Hagley Yards, E.I. du Pont de Nemours and Company was on its way to becoming one of the world’s largest producers of explosives. 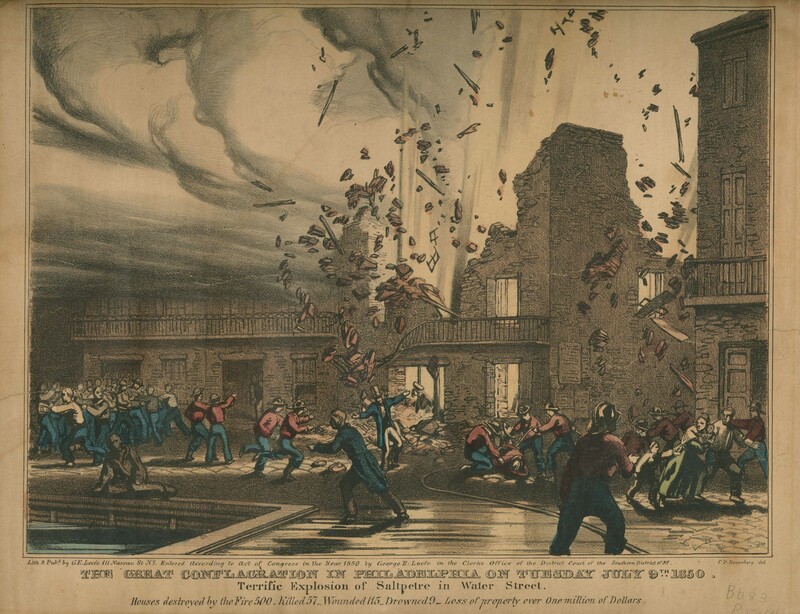 Despite precautions, in June 1815, the pounding mill exploded, and eight workmen died. In 1818, a more massive explosion, attributed to a foreman’s drinking, destroyed five mill buildings, killed thirty-six workers and injured E.I.’s wife, Sophie (1775–1828). Alcohol was then banned from the work site and E.I. and Sophie’s son, Alfred Victor duPont (1798-1856), worked closely with powdermen to rebuild the mill. He became head of the company in 1837, succeeded after his retirement in 1850 by his brother, Henry duPont (1812-89). Their younger brother, Alexis I. (1816-57), died along with five others while trying to extinguish another fire at the mill in 1857. Demand for gunpowder continued after the War of 1812 as DuPont gunpowder became popular with sportsmen, and an energetic period of national development between 1830 and 1860 increased the need for gunpowder to blast open coal mines and build roads, canals, and railroads. The duPonts responded with innovation and expansion. In 1857, Lammot duPont (1831-84)–the son of Alfred Victor duPont— developed “B” blasting powder with a more powerful blast than traditional black powder by substituting sodium nitrate for potassium nitrate. In 1859, the company purchased the Wapwallopen powder factory outside Wilkes-Barre, Pennsylvania, for its manufacture. Further black powder research yielded “Mammoth Powder” for use with heavy artillery. During the Civil War, the Brandywine powder mill produced nearly one-third of the Union’s requirements. 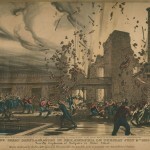 As a result of accelerated wartime production, the packing room exploded on February 26, 1863, destroying 10,000 pounds of powder and killing thirteen men. Two more explosions occurred that year, killing forty more. Continuing to expand after the Civil War, by 1902 DuPont operated forty gunpowder and explosives plants, from the Mid-Atlantic to the new western states, leading to antitrust claims. In 1906, Robert S. Waddell, a former employee and owner of his own powder company, claimed the “DuPont Powder Trust” was bilking the U.S. government through a monopoly on the manufacture of military gunpowder. As a result, the Sherman Antitrust Act forced the 1913 creation of Hercules Powder Company and Atlas Powder Company, each having the capacity to produce 50 percent of the country’s black powder and 42 percent of its dynamite. Atlas began business on Jan. 1, 1913, with four former DuPont black powder plants at Ooltewah, Tennessee; Belleville, Illinois; Pittsburg, Kansas; and Patterson, Oklahoma, and three ex-DuPont dynamite plants at Landing, New Jersey; Hancock, Michigan; and Webb City, Missouri. Although DuPont had been forced to split, Hercules and Atlas were staffed primarily by former DuPont executives, and the connection between them and the parent company remained largely intact and both firms evolved into strong, independent chemical companies. The court decision clearly signaled to DuPont that the explosives business could no longer be its major growth vehicle. Thus, government trustbusters played a major role in DuPont’s evolution away from explosives and into a broader base of chemical products. During World War I, the government once again called upon DuPont to produce explosives. In Deepwater, New Jersey, an unincorporated area of Salem County, the company expanded its Carney’s Point plant (built in 1892) to nearly seventy times its prewar capacity. Five additional plants also helped to meet the need. The largest, in Old Hickory, Tennessee, produced raw materials for smokeless powder: sulfuric acid, nitric acid, and guncotton (a nitrate product). Long after the war, in 1934, the extent of the DuPont Company’s wartime production led to accusations of war profiteering. The duPonts denied the charges when they and other munitions manufactures testified before the Senate Munitions Investigating Committee. After the war, the DuPont Company actively diversified as an entrepreneurial research firm, continuing a strategy of modernization begun in 1902 after purchase of the firm by cousins Pierre duPont (1870-1954), T. Coleman duPont (1863-1930), and Alfred I. duPont (1864-1935). Aided by company executive Arthur Moxham (1854-1931), the firm’s new generation of owners sought new outlets for products, independent sources of raw materials, and expansion into fields beyond explosives. (By the end of World War I the peacetime use of artificial fibers proved to be more profitable than explosives.) Moxham instructed his staff to think of DuPont as a chemical manufacturer. Although it remained a producer of explosives, the company closed the Hagley Yard in 1921, and by 1930 its products included upholstery fabrics, gasoline additives, plastics, Duco lacquers, rayon, cellophane, and plastics. For World War II, DuPont designed, constructed, and operated a plutonium plant for the Manhattan Project, which produced the first atomic bomb, but by 1975 the company stopped producing gunpowder. Its product offerings by the early twenty-first century included communications technologies, performance materials, coatings and color technologies, safety and protection, and agriculture and nutrition. 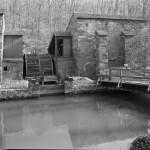 While DuPont grew as a Delaware-based research and manufacturing company employing more than 60,000 people worldwide, its original powder works on the Brandywine became the site of the Hagley Museum, where visitors could learn about the industrial past. Kim Burdick earned her M.A. in American Folk Culture & Museum Studies from Cooperstown Graduate Programs at SUNY Oneonta. She later served as a joint Hagley-Winterthur Research Fellow. She also holds an M.P.A. from the College of Urban Affairs at the University of Delaware. She is an award-winning public historian who has coordinated a number of major projects, including the nine-state Washington-Rochambeau Revolutionary Route. She is currently the curator of the historic Hale Byrnes House. Dyer, Davis and Sicilia, David B. Labors of a Modern Hercules: Evolution of a Chemical Company. Boston: Harvard Business School Press, 1990. Hancock, Harold and Wilkinson, Norman B. “A Manufacturer in Wartime: DuPont 1860-1865.” Business History Review 40, no. 2 (Summer 1966): 213-36. 226-27. Hancock, Harold. Delaware during the Civil War: A Political History. Wilmington: Historical Society of Delaware, 1961. Hoffecker, Carol. Corporate Capital Wilmington in the Twentieth Century. Philadelphia: Temple University Press, 1983. ———. Wilmington, Delaware: Portrait of an Industrial City 1830-1910. Charlottesville, Va.: University Press of Virginia, 1974. Kinnane, Adrian. DuPont: From the Banks of the Brandywine to Miracles of Science. Wilmington, Del. : E.I. duPont de Nemours and Company, 2002. Mulrooney, Margaret. Black Powder, White Lace: The duPont Irish and Cultural Identity in Nineteenth Century America. Lebanon, N.H.: University Press of New England, 2002. Munroe, John. History of Delaware. Newark, Del. : University of Delaware Press, 1979, 2001. Scharf, J. Thomas. History of Delaware, Volume Two. Philadelphia: L.J. Richards & Co., 1888. Wilkinson, Norman B. Explosives in History: The Story of Black Powder. Chicago: Rand McNally & Co., 1966. I enjoyed reading about the DuPont Gunpowder Company and the evolution of that company into a chemical company. I wonder if you are aware that DuPont was not the only area gunpowder manufacturer of the 19th c. [Perhaps your title should include the name DuPont]. 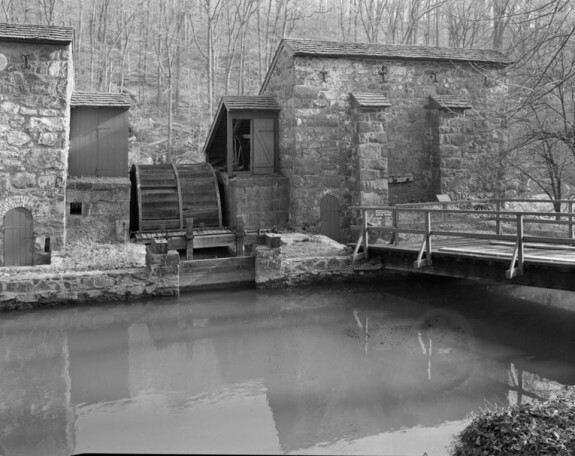 In the early 1800s Israel Whalen established a successful gunpowder mill along Darby Creek in Haverford Township. He was also a supplier for the war of 1812. Powdermaster Whalen was successful enough to build himself a mansion called Nitre Hall (c.1810) along the creek, near the mill. However, DuPont succeeded and evolved; Whalen’s mill eventually succumbed to his larger competitor. Nitre Hall is open periodically throughout the year. In June, an annual Heritage Festival is held on and around the property on Karakkung Drive at Powdermill Rd in Haverford Township. Haverford Township Historical Society archives are available to researchers by appointment. For details, contact the Haverford Township Historical Society at (610) 446-7988. Thanks you for the great work on the Philadelphia Encyclopedia…. and if possible. please expand the information on the Manayunk textile industry, once called ‘the Manchester of America’. Your narrative discusses in some detail the manufacture of traditional gunpowder (sulfur, charcoal and potassium nitrate); but jumps directly from the Civil War to 1902 with no mention of how DuPont navigated the transition from black powder to the various nitrated compounds used in the Twentieth Century. As manufacturing methods for these substances differ significantly from the relatively simple methods used to produce black powder, I would suggest some expansion of the article. Actually, John, I did it have there but the editors took it out! Sorry about that. I am glad to have this information.